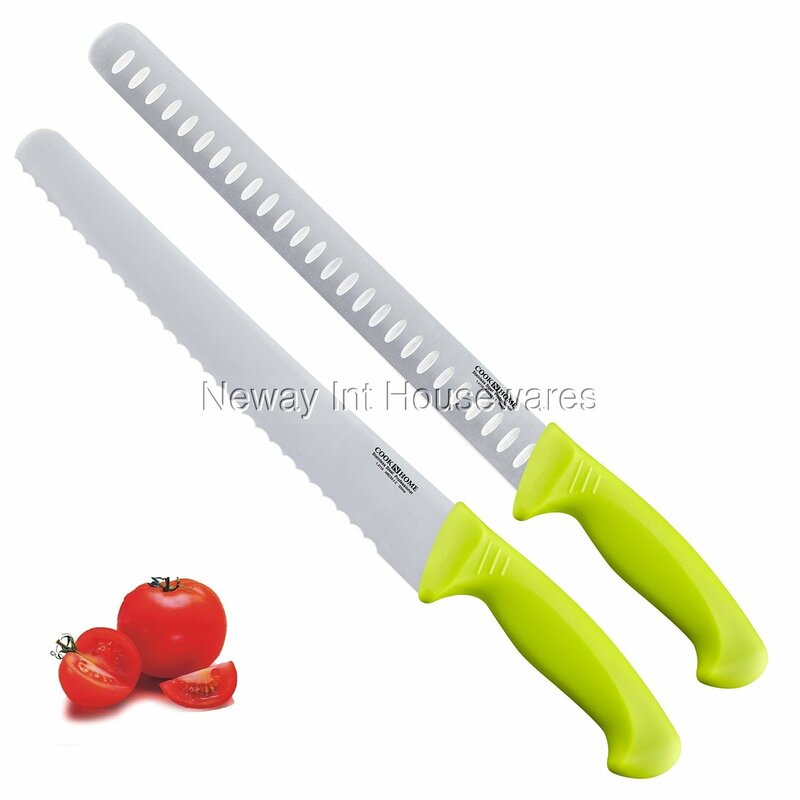 The Cook N Home 2-Piece 10" Wavy Serrated Bread Knife and 11" Granton Edge Meat/Fish Knife Set, Green has stainless steel blades for durability and ergonomic handles for comfort. Bread knife is designed to cut through crust and keep inside whole. Granton knife has a rounded tip and prevents food sticking to the blade. Dishwasher safe. Hand wash recommended, dry immediately. Dishwasher safe, hand wash recommended, wipe dry after wash, do not soak in water for over long period of time.